Last week, the second round of the seminal P5+1 (the US, the UK, France, Russia, and China plus Germany) talks surrounding Iranian uranium enrichment concluded in Baghdad. The powers had met with Iran in April in Istanbul and plan to commune a final time in late June in Moscow. In classic fashion, and altogether unsurprisingly, the outcome of the Baghdad talks seems inconclusive and vague: Russia called them “constructive” while China heralded “new achievements.” Iran and the Western actors came to the colossally unsubstantial conclusion that they must “cooperate.” The problem has once again been kicked down the road. Under the Nuclear Non-Proliferation Treaty (NPT), any country has the right to develop civilian nuclear power programs. Iran, a signatory to the NPT, maintains that it is indeed seeking only nuclear power. Often forgotten is that a bona fide nuclear power program, partially subsidized by the US, existed in Iran in the 1970s under Shah Pahlavi. Naturally, the plans were scrapped by the end of the decade once the mutual antipathy of the new Islamist regime and the West had been established. Today, Iran argues that while its need for a civilian nuclear program in the 1970s was great, the situation is growing dire today as years of sanctions have crippled its drilling and refining capacities. Of course, allegations abound that a nuclear weapons program exists in Iran under a fog of secrecy. Many cite the past bellicosity of President Mahmoud Ahmadinejad and other Iranian officials toward Israel as evidence of a covert nuclear weapons program. Recent reports by the global nuclear-watchdog, the International Atomic Energy Agency (IAEA), suggest that Iran has enriched uranium past the maximum 20% allowed for civilian uses. The West has emphatically maintained that all uranium enrichment must cease in Iran pending the allowance of better access for the IAEA to the country’s nuclear facilities. Ultimately, the largest stumbling block to the talks is clear: Western chauvinism. Unabashedly, Western leaders simultaneously talk of “engagement” while calling for “crippling sanctions.” UN sanctions are limited to nuclear related materials and technology, while the US and the EU have imposed near total economic embargos on the country. Despite their internecine nature – some estimates pin the price of the Iranian oil embargo at up to 25 cents a gallon at the pump – the sanctions endure, with a new batch due to start in July. In the words of an ex-Iranian diplomat, Dr. Seyed Hossein Mousavian, the West expects “diamonds for peanuts,” i.e. the halting of all uranium enrichment and unrestricted access for the IAEA in exchange for nugatory concessions. Sanctions aside, Iran has a number of reasons to thumb its nose at the West. Indeed, all but the German delegation of the P5+1 possess nuclear weapons (thousands of warheads in the case of the US and Russia). Moreover, to Iran’s west lies Israel and to the east Pakistan and India, all of which are nuclear powers and non-signatory to the NPT, though enjoy no calls for disarmament. Until these latent hypocrisies are addressed, Iranian recalcitrance will persist. The discursive frameworks that the P5+1 talks are predicated on do not bode well for future negotiations. The West is a veritable echo chamber of calls for regime change in Iran and its actions to date demonstrate that it does not consider Iran an equal partner. 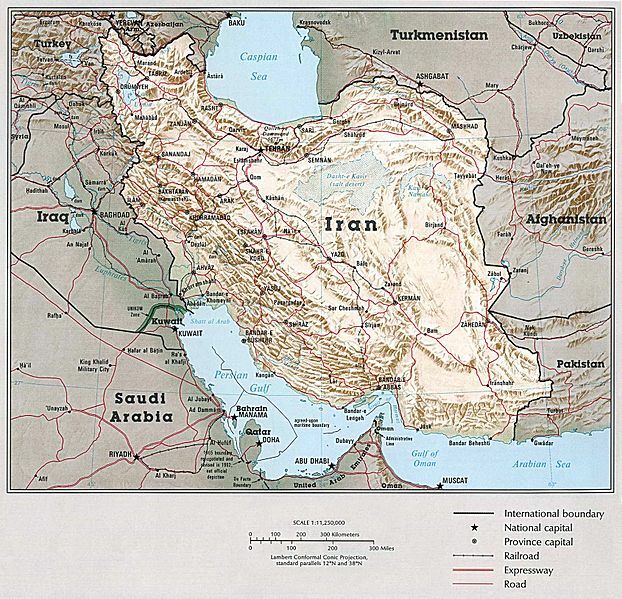 It is telling indeed that Iran has pushed for rather unconventional locations for the P5+1 talks – Istanbul, Baghdad, and Moscow are all capitals of countries that have spoken against Iranian sanctions. In Moscow the world can expect more of the same.